Many roads recently improved under the Lifeline roads Program. There is a general concern about the safety of vulnerable road users — pedestrians, cyclists, animal-drawn traffic on these Lifeline roads. 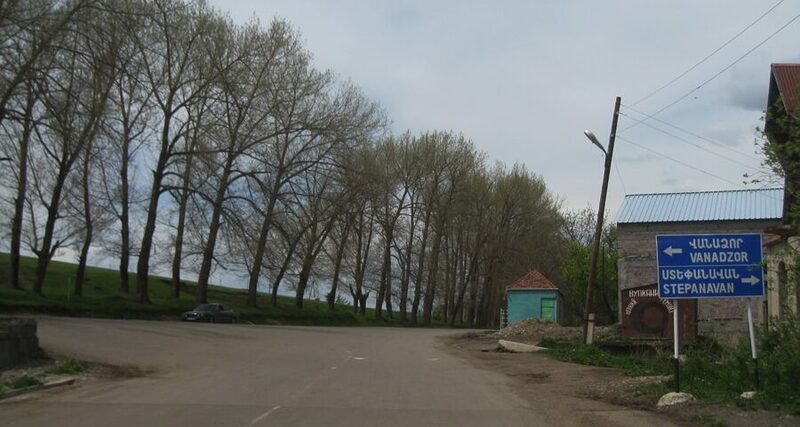 In short, it appears that the newly improved roads – with smooth all weather surfaces – are encouraging some drivers to travel at unsafe speeds, especially through villages. 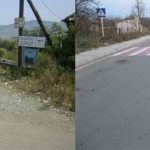 In particular, there is a concern for the safety of school children in some villages where the school is located beside or very close to the Lifeline Road. Therefore, in order to ensure that the designs of these roads take account of road safety needs in the small towns and villages served by these roads as a Safe village program has been initiated. 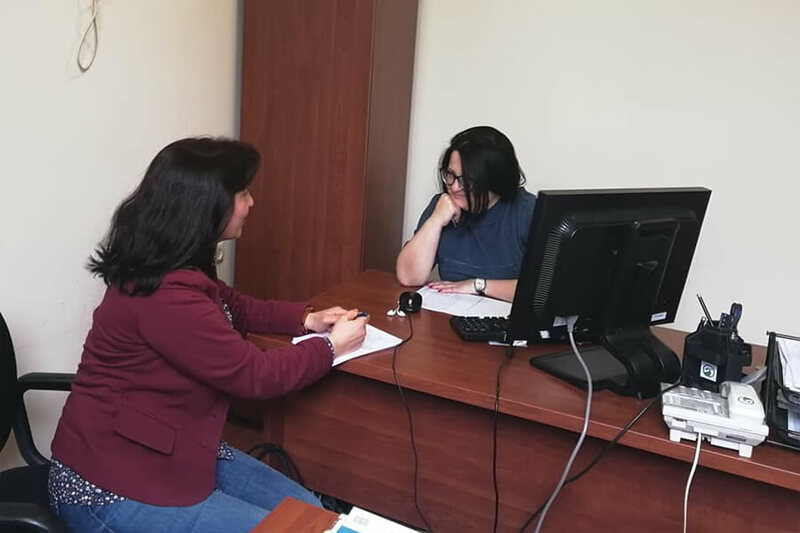 Therefore it has been agreed to fund a pilot project in one village to show that safety can be improved by a combination of low-cost civil engineering works, public awareness, and road safety education. The Consultant on Road safety Audit Philip Jordan (Australia) assisted with engineering inputs. 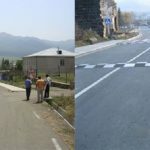 It has been agreed that the road part near the Gyulagarak village school (with 250 puplils) in Lori region offers a very suitable location for a pilot project in the “Safe Villages” program. There were no speed restriction signs in the village. Average speeds on the road are (estimated) 60km/h. Some vehicles were noted traveling at almost 80km/h. There were no street lights, and the line marking is becoming worn. There is a centerline plus edge lines but the dirt, mud, and manure from the farms is obscuring the edge lines. 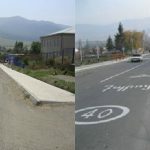 According to international experience, the package of low-cost civil engineering works was recommended for the road outside the Gyulagarak village school, in particular, series of 40km/h speed restriction signs were installed, as well as flat-topped road humps were installed at each of the crossings, a new pedestrian crossing was installed near the school gate, the word “SCHOOL” has been marked directly on the road etc. 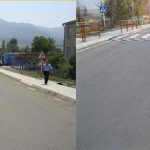 Currently, the construction works are over, and the works on raising the public awareness and Road safety education at school are implemented.